You never know where augmented reality will show up in your life. 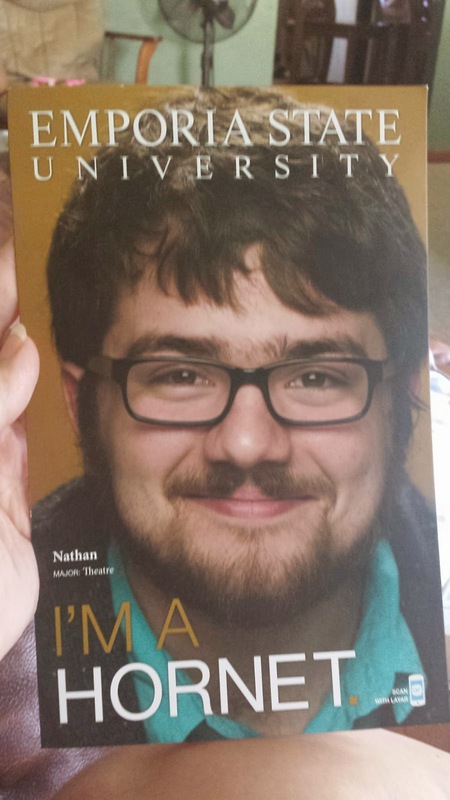 My oldest son is a junior this year and since spring he has been receiving mailings from universities and collages from all over. Yesterday he received a mailing from Emporia State University and right on front there is a little message saying "Scan with Layar". When scanned the guy comes to life via a video. What I would have liked to have seen with using augmented reality is more than just a video. I think Emporia State should have done besides the video was add a link to their university website, maybe even have an additional video touring the campus. Augmented reality needs to be interactive not just a video. If you just do a video then it is more like a QR code. I will give kudos to Emporia State University for thinking outside the box and giving AR a try. 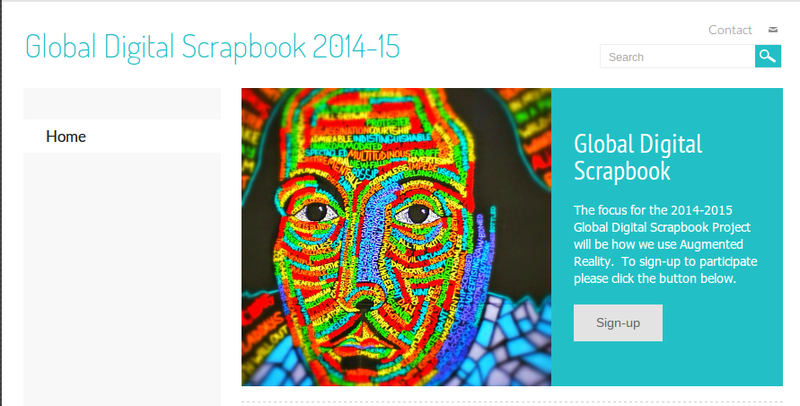 I am proud to announce the launch of the 2nd Global Digital Scrapbook project. This Global Digital Scrapbook will showcase how augmented reality is being used in the classrooms around the world. Teachers and students will engage in discussions with others during the project about they are using augmented reality in their classroom. They will share how they are using pre-made triggers and or if they are creating their own augmented reality triggers. You can participate in the 1st semester session. You can participate in the 2nd semester session. You can participate in both sessions. Targeted Grade Levels/Age Groups: All ages. Teachers will communicate via the Augmented Reality Google+ Community. Teachers will submit content to be added to the Digital Scrapbook. 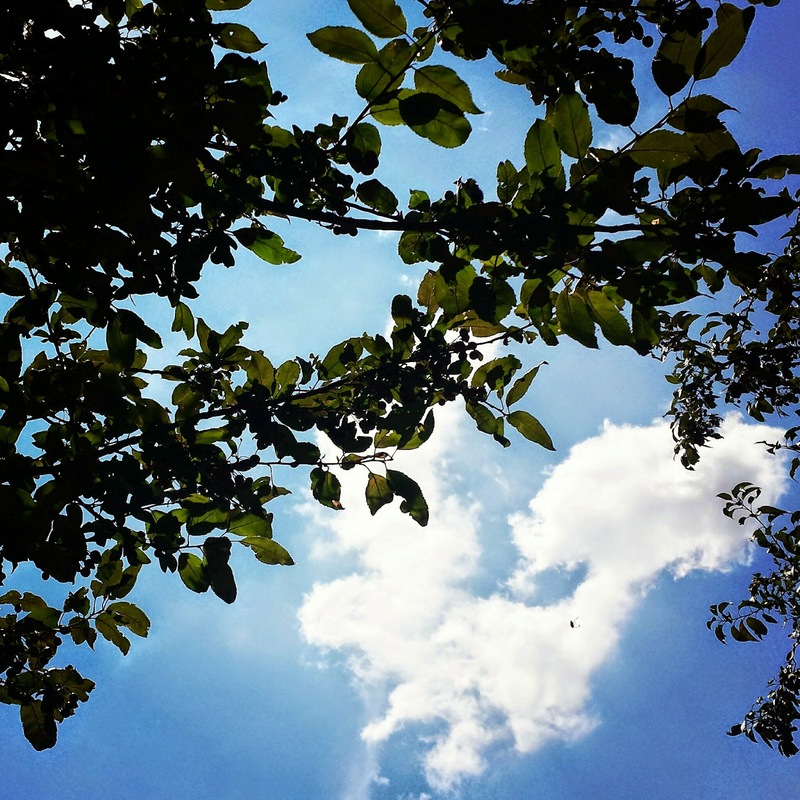 Teachers will need to submit a photo that will represent their school or classroom. 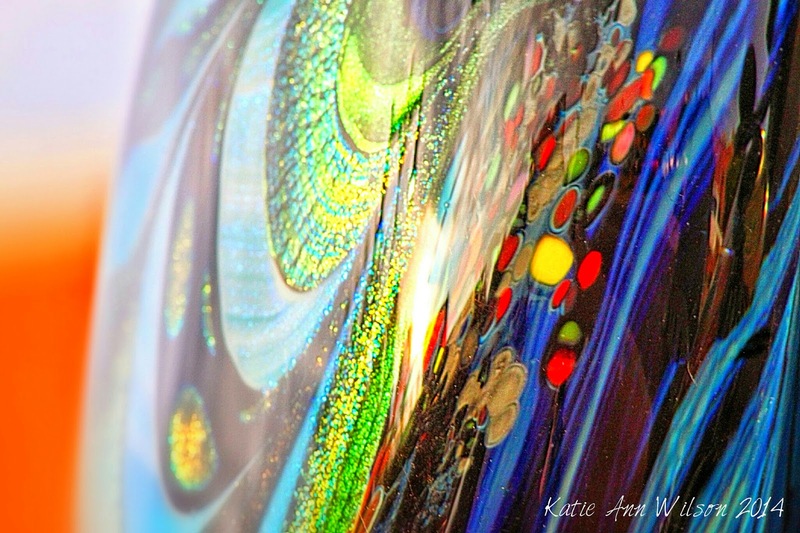 This photo will be used as a maker for the interactive map as well as the header for their page. Throughout the project teachers/classes will submit images, videos, write ups, and etc... that will be added to the various pages for the Global Digital Scrapbook. How to submit your content will be posted after the project has started. Click here to view the project and to sign-up. During the summer I like to set goals for myself and I get really excited when I meet these goals. One goal was to create a interactive ebook for my 6th grade history class. I knew it would take me most of the summer to complete this task since history is not my strong subject. I am sure after I start to use the ebook with my students that I will be adding and changing things, but for right now it is complete and ready for me to use. Another goal I set for myself was to start a global community for teachers to learn more about augmented reality. As of this morning I have 132 members from around the world that have joined the AR for Educators community. I am really thrilled about this group, we have not only educators in the group but also some developers. 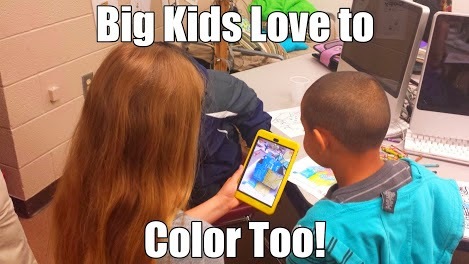 It is a place where educators can go to learn, share, and get help with augmented reality. 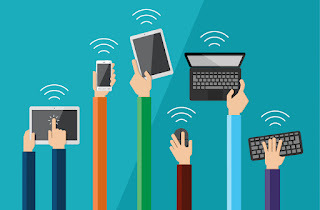 My goal for this group is to connect with as many educators and augmented reality developers in order to share and learn more about ways to use augmented reality in the classroom. Next on my to do list is to launch my Global Digital Scrapbook Project. This year the project is going to focus on how teachers and students are using augmented reality. My plan is for the project to showcase ways augmented reality is being used in the classrooms around the world. Keep an eye out for the launch. 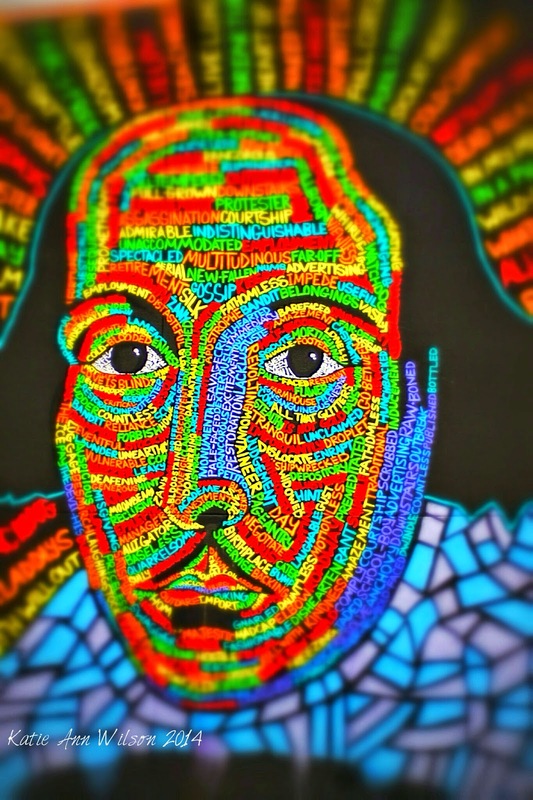 I would love for your classroom to join in on this project. Augmented reality lessons are next up on my list to do. I can't wait to share with you the details of this project. I almost did a backflip when I was asked to work on this project. If all goes according to plan these lessons will be launched by October. I will keep you posted on the details. When downloading ebooks use Safari on your iPad. You may also download these ebooks to your Mac if you have Maverick. It does take a long time to download these files. 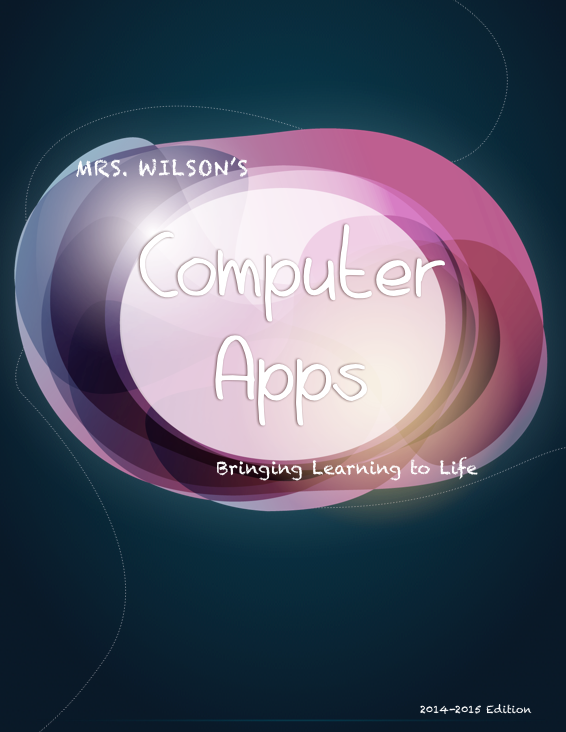 Last year I created an interactive ebook for my technology classes. I filled it with a variety of of video clips, screenshots, presentations, and resources for them to refer to. This year I wanted to create another interactive ebook but I wanted to be able to be used cross-platform and on all devices. I guess like always I am ahead of my time. If I wanted to make my interactive ebook available for all devices I would have to pay a company to convert it for me and there was no promise that all of my interactive components would work. So I went back to iBook Author and created my interactive book which can only be accessed via iBooks. I haven't decided if I wanted to submit this book to the iTunes Store or not. The iPads that my students use block the iTunes and App Store so it isn't possible for them to download the book from there. I did find a alternative way around that issue. I saved the iBook file to my classroom website and my students can download it from there. It does take a while for the book to download and if I make any changes the kids will have to download the book again. Now I can say I am a published author and I now have 2 editions to my Computer Apps e-Textbook. Use Safari on your iPad to download this file. You can also download this file if you have Maverick on your Mac. It will take a while to download. 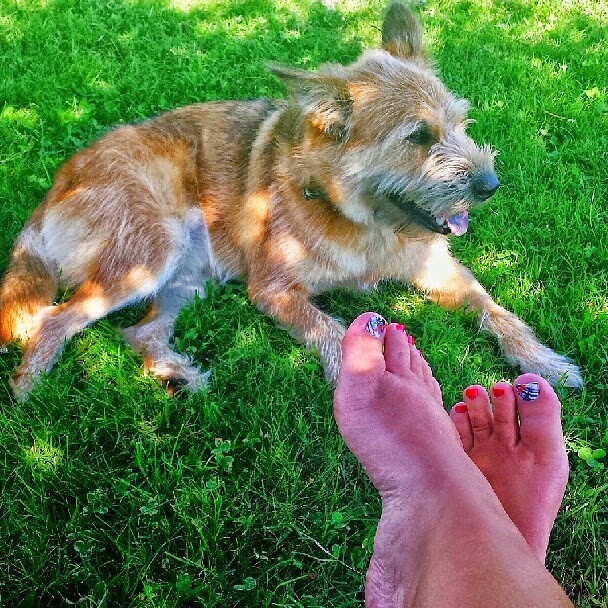 back of our dog and have him run around the yard while they yell for joy and grin from ear to ear. While under this tree I learned that there was a magical door built into the tree that the fairies use. For you see these little gardeners live within my tree. Under this I also learned about kindergarten or what my daughter dreams kindergarten will be like. In kindergarten did you know that you get to play all day with your friends. You can run and jump outside and swing high on the swings, while your best friend pushes you. At lunch you get yummy food that your mom packed for you. My daughter just can't wait to eat the pudding or applesauce, because those will be the best parts of her lunch. I also learned that she now will have a music class, which she can't wait for. She loves to sing and hopes the teacher will even let her dance a little. She doesn't understand this thing everyone is calling P.E. but she knows that it requires tennis shoes. My dream for her is to always believe that school is fun, learning is fun, and being around people you connect with share with is best part of school. While under this tree I was inspired to do a little doodling. I do not doodle a lot, but when I do I love to try out new art apps. The app I used was called Drawing Desk. This was my 2nd EdmodoCon I participated live in. I had watch some of the past recordings when I started using Edmodo in 2012 and thought this would be a fun EdTech conference. You don't have to leave my home and you can wear my PJs if you wanted to. I did choose to get in the spirit and wear my Edmodo shirt. The best part of the conference other than it was FREE was connecting with other educators from around the world. In 2013 EdmodoCon inspired me to develop a global project. 2014 EdmodoCon inspired me to continue my project. It also helped me narrow down my focus for my global project and allowed me to make more connections. I was also inspired to use the badges in a more effective manner than I had in the past. My favorite saying I will be using with my students is "Edmodo That". If you didn't get a chance to attend the free online EdTech conference you can still watch the recordings form the event. It takes about a week for them to be processed and posted online. I also suggest you attend the Edmodo Chats on Thursday evenings at 7pm EDT. 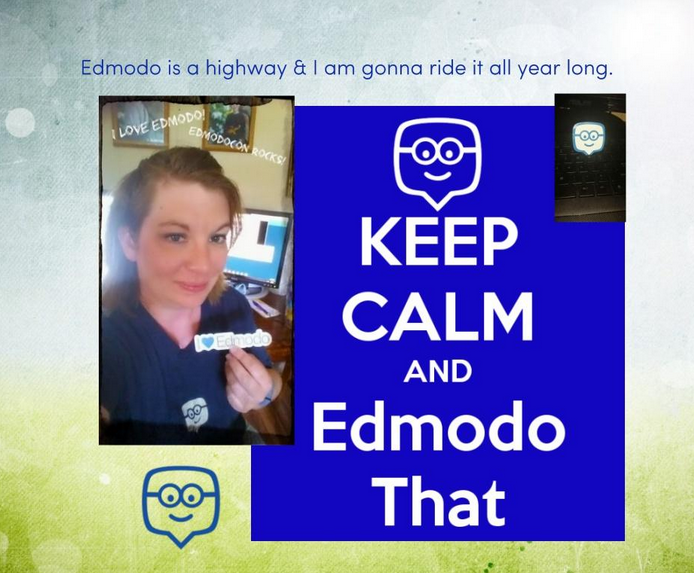 "Edmodo is a highway and I am going to ride it all year long!" In my school I am the 1st implementer for EdTech. I learn the tech tools and go back to my district and teach those around me what I have learned. There are very few EdTech conferences in Kansas so I am reaching out to other EdTech conferences so that I can continue to learn. If I could attend Miami Device I would attend as many session as possible that focuses on student-center learning, project/problem/challenged base learning, as well as game base learning. My goal is to put learning back into the hands of kids and equip them with the right tools. Amazing things happen when we let kids teach. I also hope I inspire all of those I connect with. I also present at as many EdTech conferences as possible. I really like sharing what I learn with others. My new gained EdTech knowledge that I obtain from Miami Device will help me in what proposals I should submit to other EdTech conferences. Since I am also a blogger I would also promote Miami Device and write about my experience from the conference. My Google Glasses help me in capturing my experiences and Google loves to put all of my pictures together into Google Stories, which makes it easier to share. I look forward to Miami Device in person or living vicariously through Twitter. My goal this summer was to reach out to educators and share with them some of my techie knowledge. In reaching out I created a Google+ community for educators to learn more about augmented reality. The community is a place where educators and even AR developers can come together to connect, share, and learn. This community is not just for the younger grades but for all grade levels. In developing this community it dawned on me that some people may not know how to navigate within it so I created a little guide to help them out. This quick guide will point out the where things are and how to access them. Feel free to join the community and to share it with others.